Peacock Life is an interior design, décor and art store spread over three floors in a chic Bandra building. If you are looking for one of a kind décor pieces, colourful and pretty furniture, or just some inspiration, head here and be amazed. It boasts of some amazing pieces, designed to be unique and pocket-friendly. They have a huge range of décor pieces, and one can find a lot of inspiration simply by being in their store. The store itself is done up so beautifully- you'll want to keep staring at every nook and corner. If you are planning to do-up your place from scratch, they have ideas that'll inspire you, and everything from furniture to small pieces available in the store to add charm to your home. If you are just looking to add a few highlight items, fret not- they'll probably have just the right thing for you too. 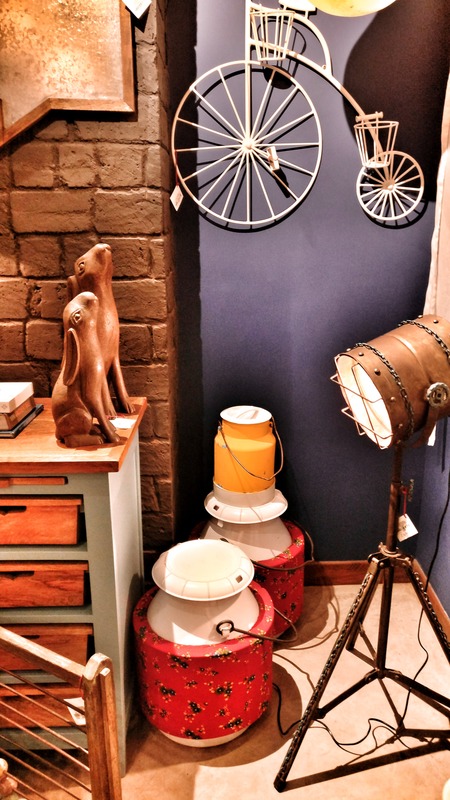 Lanterns, retro mirrors and boxes, colourful cupboards, an astounding blue sofa, every corner of Peacock Life has a story to tell and a piece that you will long to take home. To avoid getting lost, just enter Bandra 190 as your destination and Google Maps will take you to the right place.